Alexandra Dean Grossi is a Graphic Designer, Creative Strategist and Inclusive Design Activist with a professional background in writing and photography. Whether through design, imagery or words, Alexandra considers herself to be a storyteller. She began her writing career under the tutelage of television NYPD Blue creator David Milch on HBO’s Deadwood and John From Cincinnati. As a Creative Strategist, Alexandra has spearheaded several successful social media campaigns, garnering global attention for her clients. Her work with Shane Bitney Crone launched his career as an LGBT Activist and filmmaker. This campaign resulted in a viral YouTube video with over 5 million views, a successful Kickstarter campaign, and a feature-length documentary, Bridegroom. Bridegroom was introduced by President Bill Clinton at the Tribeca Film Festival where it won the Audience Award. Alexandra’s photography work has been featured in Vice, Flaunt, Attitude, Pasadena Weekly, Arroyo Monthly and American Bungalow. Born profoundly deaf, Alexandra got a Cochlear Implant in her right ear when she was 16 and another in her left ear at age 30. Alexandra believes that design can empower users with unique needs. She believes that successful Inclusive Design solutions incorporate user participation early in the design process. Ultimately, she believes design can change perceptions and work to remove stigmas around disabilities. She is currently working on IDATA a project funded by a $2.5 million NSF grant. As IDATA’s User-Centered Design Experiences leader, Grossi is applying UCD Research Methods to the design of astronomy software, to make it accessible to Blind and Visually Impaired (BVI) users. In May 2018, Alexandra proudly joined IBM Design Studios as a software designer on the IBM Hybrid Cloud team. She is thrilled to be a part of a company that promotes diversity and inclusion. Alexandra’s speaking engagements have covered topics from Inclusive Design, Data Visualizations, and the importance of being an LGBTQ ally. She has given lectures and spoken on panels at Duke University, Clarke School for Hearing and Speech, NC Museum of Natural Sciences, and the Tribeca Film Festival. 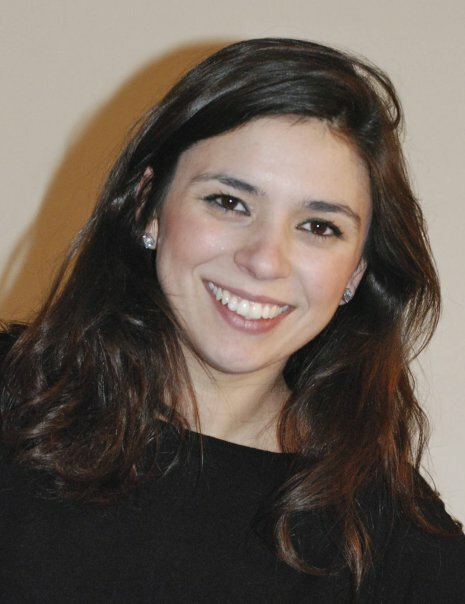 Alexandra is a graduate of Vassar College, where she majored in English and Italian with a minor in Film. She received a Master of Graphic Design degree from the NC State College of Design in May of 2017. Her Master’s thesis centered on the design for a Cochlear Implant User Interface, implementing innovative design solutions to create a better user experience for assistive technology users.